Mushrooms. They are certainly one of my favourite foods. But it wasn’t always the case. 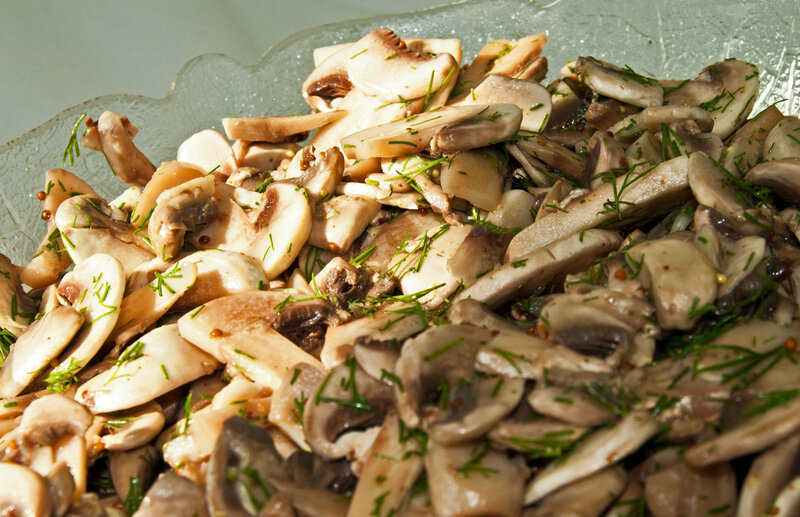 Before getting to the simple yet satisfying recipe for our Dilled Mushroom Salad, I would like to share a mushroom story with you. When I was a young girl, I hated mushrooms. And when I became a not-so-young girl, aka an obnoxiously opinionated teenager, I thought anyone and everyone who enjoyed mushrooms were crazy. And stupid. (Thank You God for letting me grow through those teenage years!) My mom would periodically prod me to try them again to see if my taste buds had matured, but I always stubbornly refused. Fast forward to the summer after my first year of university. I had decided it was high time I become an adult, and in my mind that meant learning to eat mushrooms. I didn’t have hopes to love them, or even to like them. My goal was to be able to politely tolerate them when served. I started by ordering the Portobello Sandwich for lunch at The Bullring on campus. And when visiting my parents I would ask my mom to put mushrooms in the pasta. I ordered mushrooms on my pizza, which was previously a cringe worthy idea. I can’t quite place when it happened, but soon my disgust bypassed tolerance completely and I discovered a new culinary love. Last fall I bought the above Portobellos at the Guelph Farmers Market. Aren’t they exquisitely beautiful?!? And while I’m no longer my know-it-all teenage self, my mushroom journey reminds me the impossible is often possible, and to never stop opening myself to new experiences and tastes! This salad is one of the simplest salads we make, and it is so delicious. It tends to fly off the table each time it is served. I should also mention that I’m not one for precise recipes outside of baking. I think it’s really wonderful to develop a sense of when a dish is well-balanced. So, most of my recipes will have approximate amounts. Also, since we tend to cook for a crowd – I made this salad for 50 people last night – you’ll probably want to adjust the amounts anyway! To make the salad, I whisk the vinaigrette together in a large mixing bowl, adding the oil slowly at the end. I taste and adjust if needed. Then, I wash, slice, and add the mushrooms to the bowl. Finally, I chop and add the dill, mix everything together, and let it sit for a while so the mushrooms can absorb the flavours. And try not to eat the whole bowl while I wait. 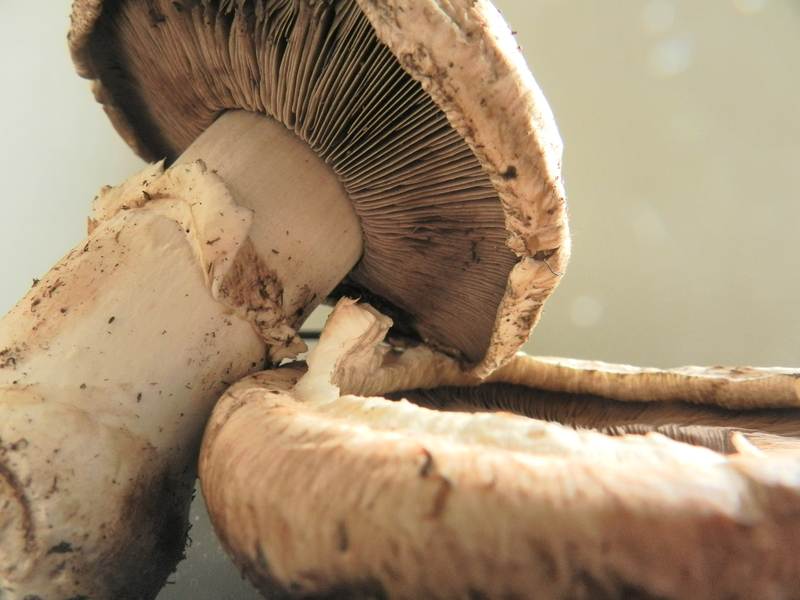 What is your favourite mushroom recipe?